Anyway.. I was attending Yves Saint Laurent Forever Youth Liberator Beauty Workshop last Saturday at Seibu Beauty Lounge, Grand Indonesia. 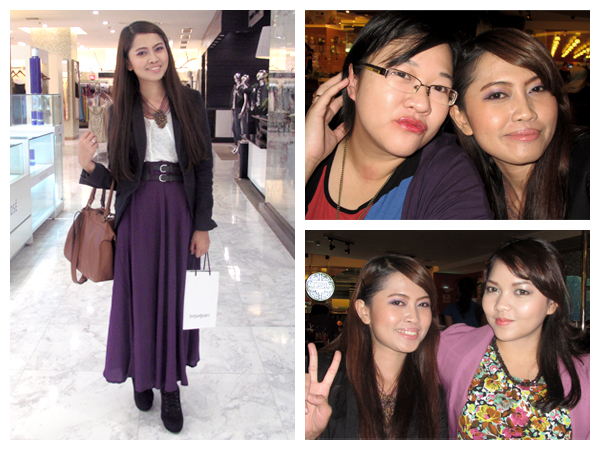 My weak body suddenly felt better when I saw my beautiful friends: Nisa, Hanna, Putri Kansil, Mba Daisy & Stephanie. Carnellin should be there too but she couldnt, I hope she's fine right now.. 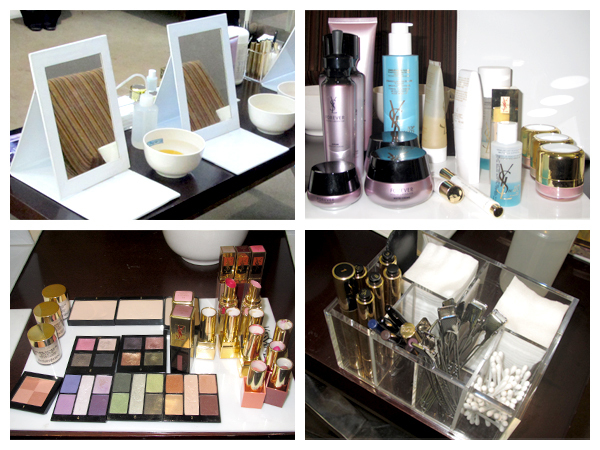 In this workshop, we had the opportunity to use YSL skin care products: Forever Youth Liberator, on our face! 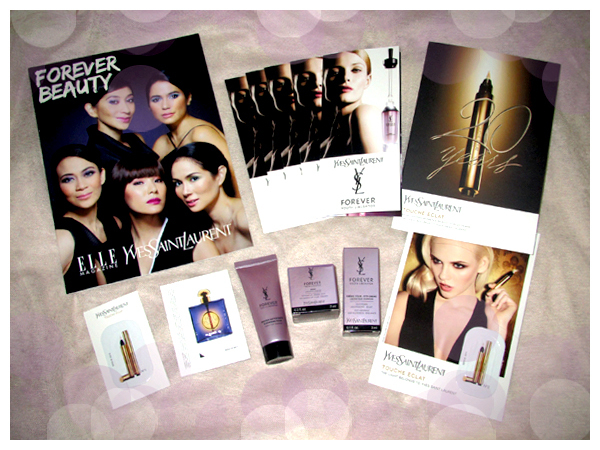 Yes, that famous YSL Forever Youth Liberator. I've listened some people talked about it before and all of them said it is VERY GOOD. Of course I believe them! What an exciting experience! 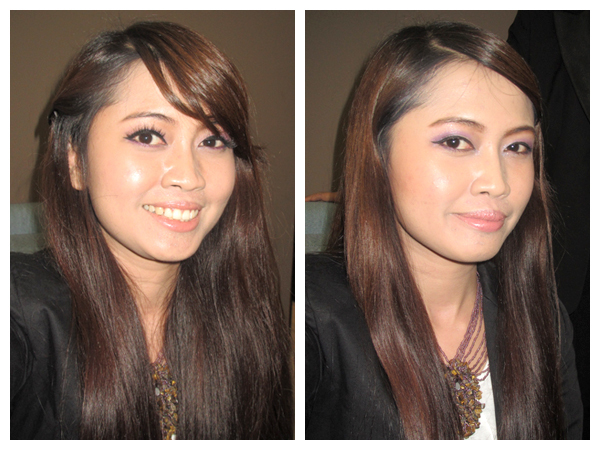 Left: Me in full make up before the workshop Right: After using YSL Forever Youth Liberator. 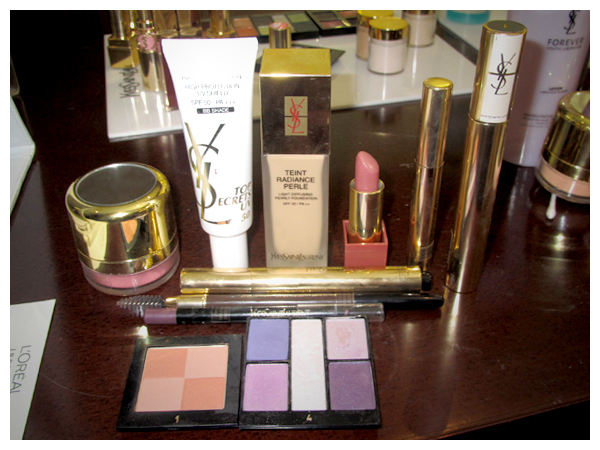 Then the YSL team introduced us the YSL Forever Youth Liberator products. 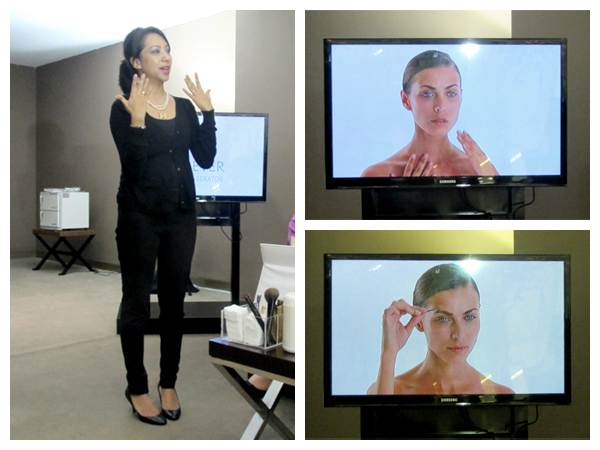 They also showed us the video of how to apply it, complete with the face massages which can make the products work perfectly on our skin. Here is the explanation why this product works good on our skin.. Liberate your skin’s youthful appearance. FOREVER YOUTH LIBERATOR is the 1st Serum anti-ageing by Yves Saint Laurent containing the Glycanactif™ complex, a combination of 3 glycans, to help stimulate² skin’s youthful capacities at the 3 levels of the skin. Visible results: Immediately, the skin feels smooth, soft and comfortable. It looks clarified, more transparent. Directions for use: Add water and lather. Apply day and evening with circular motions.. Avoid the eye area. Rinse off. Visible results: Immediately, the complexion looks more transparent. Signs of fatigue seem less visible. In just 7 days, the skin feels transformed: smoother, firmer and more toned. After 1 month, the skin appears revitalized. For all skin types. Also suitable for sensitive skins. Directions for use; Apply on face and neck by gently dabing with fingerstips or use a cotton pad. Morning and evening after cleansing with FOREVER YOUTH LIBERATOR Cleansing Foam. Visible results: From the 1st dose, the skin looks more uniform and luminous. In just 7 days, the skin feels transformed: smoother, firmer and more plump. After 1 month, the skin feels tighter as if lifted and wrinkles appear reduced. The skin looks visibly younger. 2 out 3 women prefer FOREVER YOUTH LIBERATOR to their usual serum. Directions for use: Use day and night before your FOREVER YOUTH LIBERATOR daily care. Visible results: Immediately the skin around the eye contours looks smoother. Day after day, dark circles seem to be reduced. After 1 month, the eye contours feel more luminous and more rested. Directions for use: Apply day and night. Visible results³: Immediately, the skin feels refreshed, suppler and more comfortable. In just 7 days, the skin feels transformed: smoother, firmer and more toned. After 1 month, the skin appears tighter as if lifted and visibly younger. Directions for use: Apply day and night on face and neck. 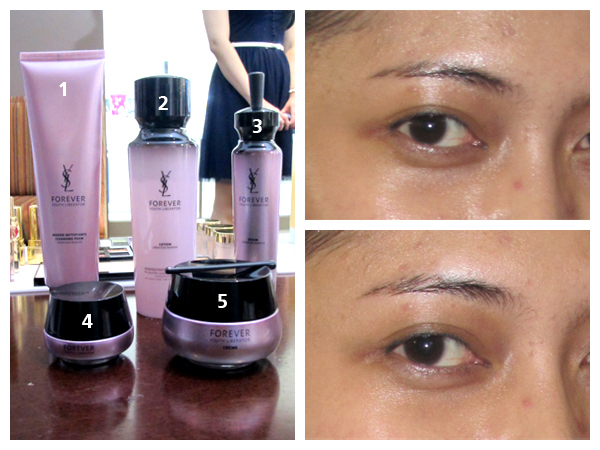 YSL team also told us if we have an oily skin, we'd better use the eye cream & cream at night only. 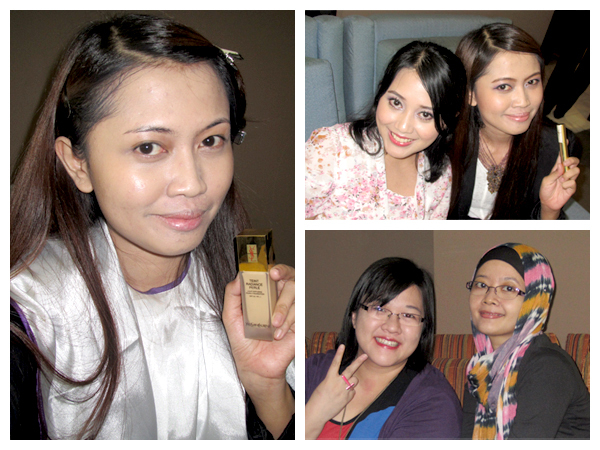 Mrs. Alia Karina explained how to use YSL Forever Youth Liberator products. The video showed the face massages after applying the products. 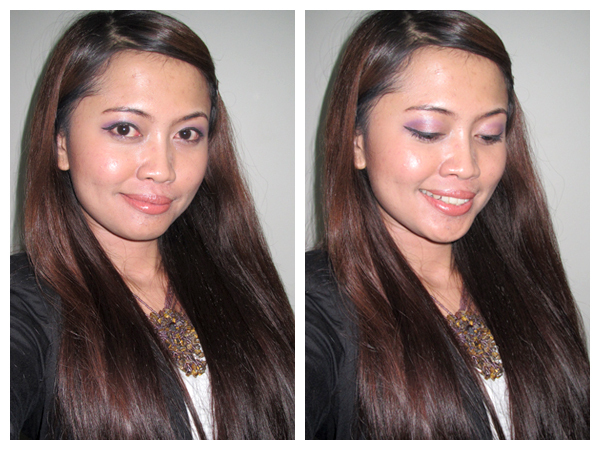 Right: A little part of my bare face before (above) and after (below) using the products. See the different? Overall, I'm impressed with the fragrance, it smells so good! The texture also very soft and smooth, not oily, not tacky, not sticky. My skin absorbs it immediately. Esepecially after applying the Serum, my skin became smooth and more plump! No wonder! Who needs this products? Everyone!! Haha.. Of course the ladies who wants to keep their skin young and fresh! This products suitable for 25+ y/o ladies. Putri Kansil ever told me that actually ladies in their 20s don't need anti-aging product, especially for the one with oily skin. I agree with her, because worried if I use anti-aging products too soon, those products wont work well on me anymore when I'm aging. XD BUT again ladies, it depends on your skin conditions and your beliefs. 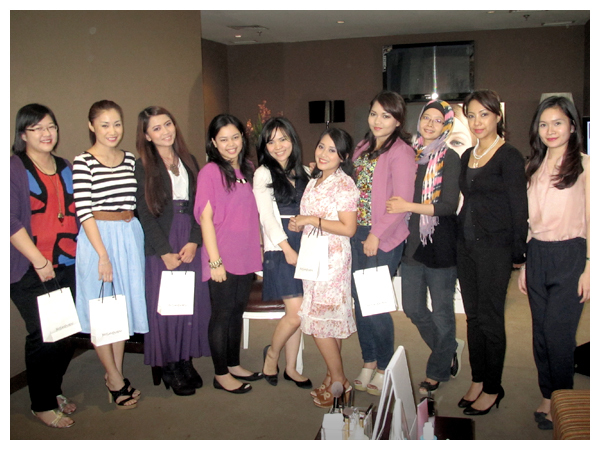 Photo group, IBB with YSL team...They gave us the goodie bag! After the workshops I asked Stephanie to took my OOTD, nice isnt it? Nisa said I looked like The Olsen Twins XD I was going to buy you a cupcake Nis! Nyahah.. Then we had lunch (or dinner?) together at Pizza Marzano. Proudly showed off our gorgeous skin!! Haha.. Here is the look right after I arrived at home. Still look good, isnt it? Not too oily like usual and the eyeshadow stays on its place!!! Touche Eclat hold it till the end of the day! Nice! Here are the items from the goodie bag. Cant wait to try it periodically next week, right after my body get better..